Over the last couple of years, Baked Eggs have become a popular item on many café menus. They are great brunch item and became a regular go-to choice for Brooke during our current phase of always going out for breakfast on the weekends. Since getting into a regular pattern of going to the local markets, we tend not to eat out so often and either opt for bagels from The Holy Bagel Company or experiment with our own breakfast cook-ups. This weekend we made Spanish Baked Eggs which were delish! 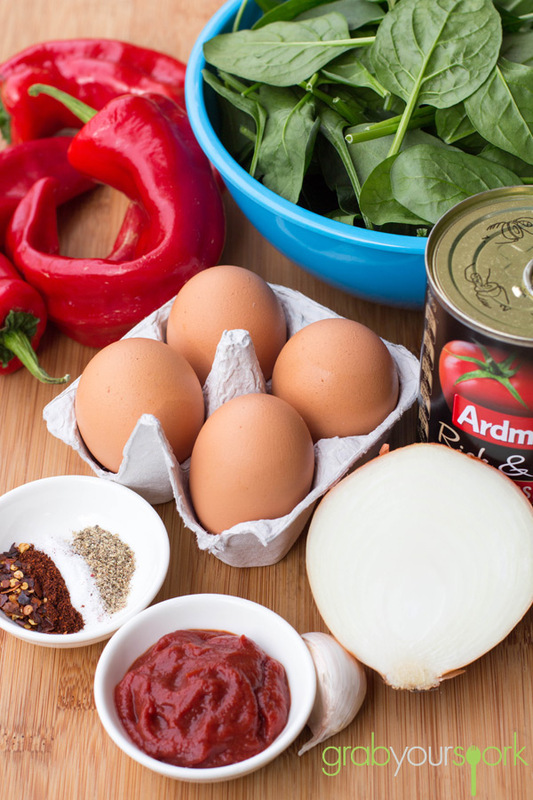 Using some home grown red capsicums we added some other key ingredients to give the dish a Spanish kick. 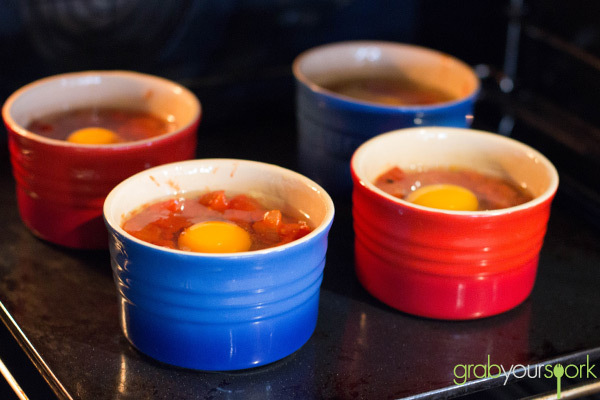 There are various ways to make baked eggs, however, I am a fan of a tomato base which can easily be altered depending on the ingredients you have in the fridge. 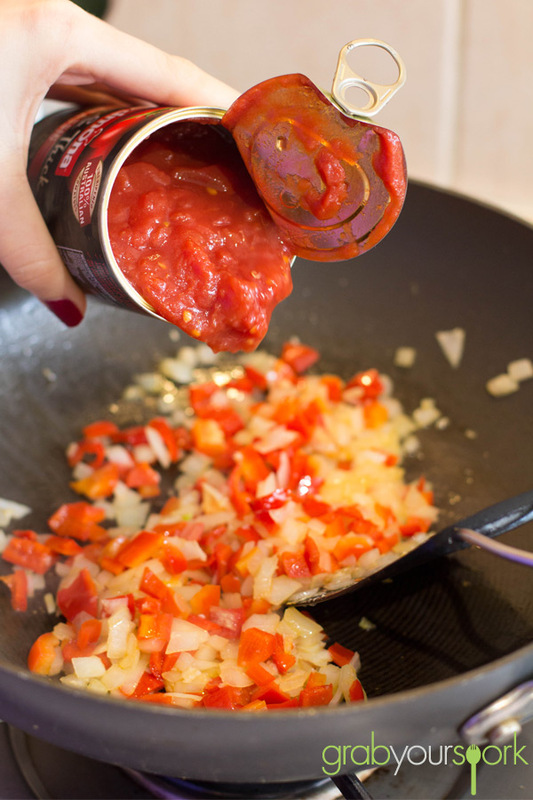 To make our recipe we simply sautéed some onion, capsicum and garlic together before adding a can of diced tomatoes and some thick tomato paste. To add some heat, we seasoned with red chilli flakes, smoked paprika and salt and pepper to taste. In the meantime, we wilted some spinach while the sauce came to a light simmer. 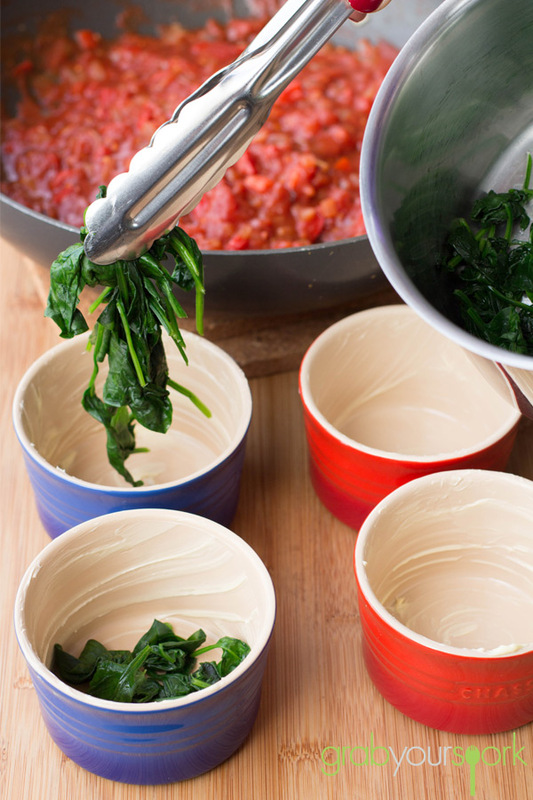 When the spinach is ready simply place the spinach in the bottom of your greased ramekins and top with the tomato base. 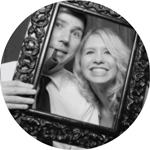 Create a little well in the middle and crack the egg into the well. We baked our eggs in a moderate oven for around 12 minutes ensuring the whites were cooked and the yolk was still runny. 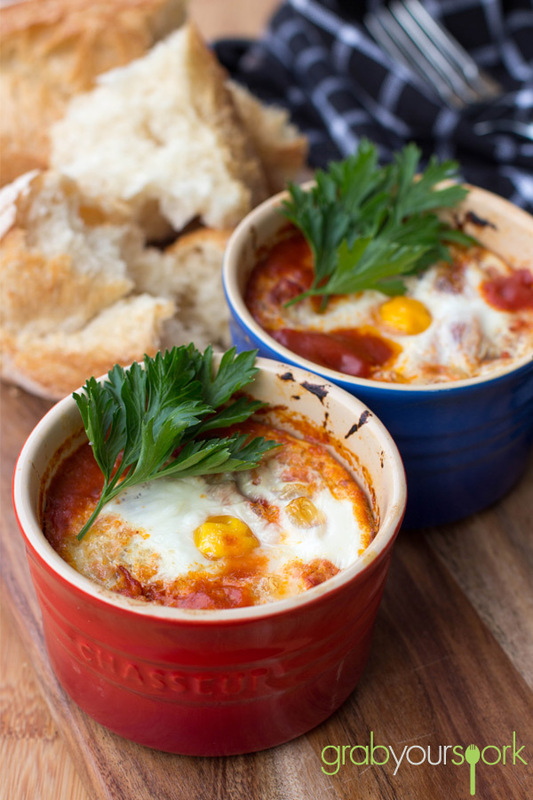 Serving with some crusty bread these Spanish baked eggs make for a perfect lazy Sunday brunch. If you are looking for some alternative breakfast options then check out our savoury muffin recipe, maple mixed nut granola, or coconut and vanilla chia pudding or coconut flour pancakes. Spanish baked eggs made with sautéed onion, capsicum, garlic, diced tomatoes and some thick tomato paste seasoned with red chilli flakes, smoked paprika and salt and pepper... and course a fresh egg. 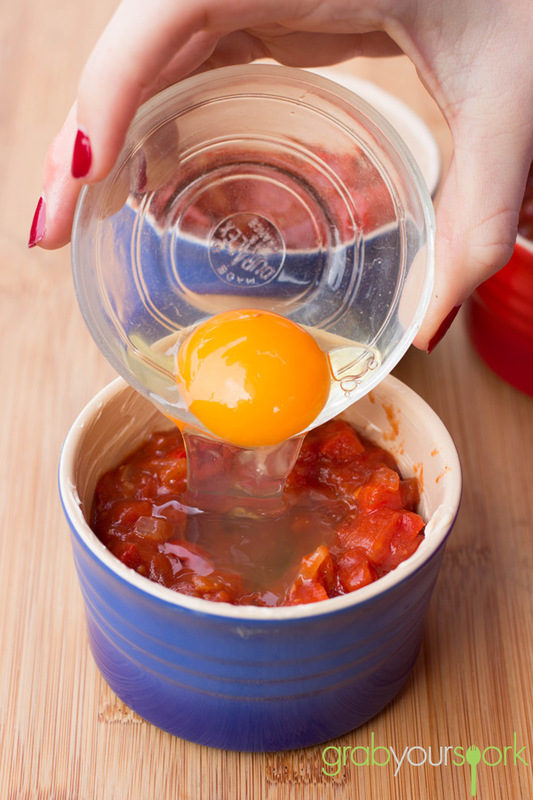 Preheat your oven to 180 °C and grease your ramekins well. Over a moderate heat in a non-stick fry pan, sauté onion, capsicum and garlic for a couple of minutes. Add the tinned tomatoes, tomato paste, smoked paprika, chilli flakes, salt and pepper. Put the spinach in a pot and allow to wilt over a medium heat. To assemble, place equal amounts of wilted spinach in each ramekin. 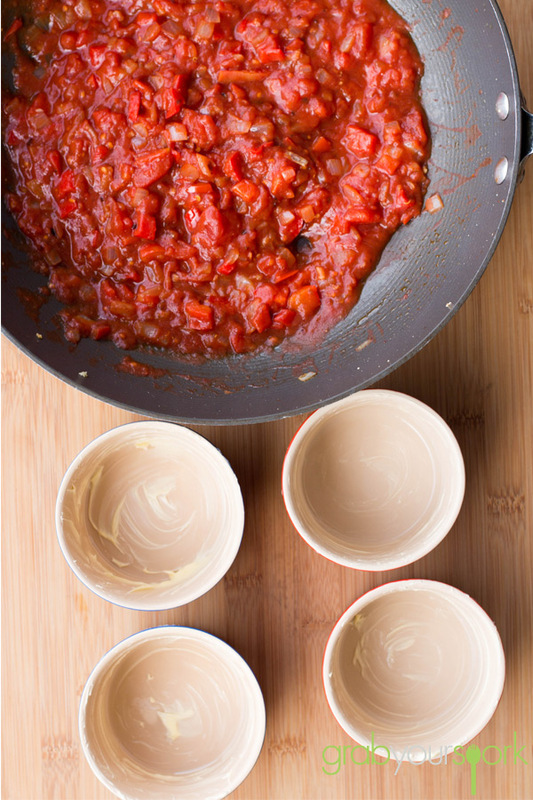 Fill each ramekin with tomato filling and create a small well in each. Crack the egg and pour into the well. Cook in the oven for 10 – 12 minutes until egg whites are cooked.